A craft form practised by rural women in Bengal and Orissa, Kantha embroidery originated as a way of recycling old or unused cotton sarees and dhotis, in order to create household items such as quilts, comforters, shawls, home linen and more. Kantha embroidery was traditionally done over layers of soft dhotis and saris, using a simple running stitch. . Contemporary Kantha however uses white cotton or silk as a base fabric. An entire piece of fabric may be covered with running Kantha stitch and in different shapes – creating beautiful motifs of flowers, animals, birds, geometrical shapes as well as themes from everyday activities. 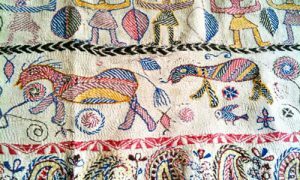 A finished piece of Kantha embroidery – has multiple lines of running stitch all over it – and hence a slightly wrinkled appearance. 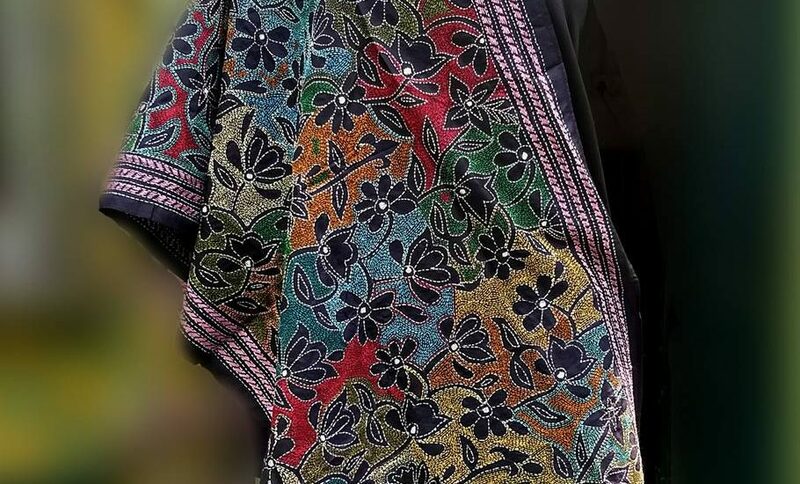 Motifs found in Kantha showcase the identities of its wearers in terms of caste, village and status. In early Kantha embroidery, motifs were influenced by primitive art. With time, Hindu Kantha embroiderers created motifs of Gods, peacocks, tigers and auspicious colourful motifs. 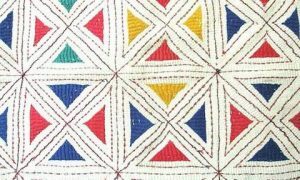 Geometric and floral designs were, and still are, commonly found in motifs created by Muslim Kantha embroiderers. Kantha still maintains a strong cultural and social significance in Bengali society. Techniques used in Kantha embroidery are passed down from mother to daughter and are popular dowry traditions. It has become a means of livelihood and yet remains a household craft. 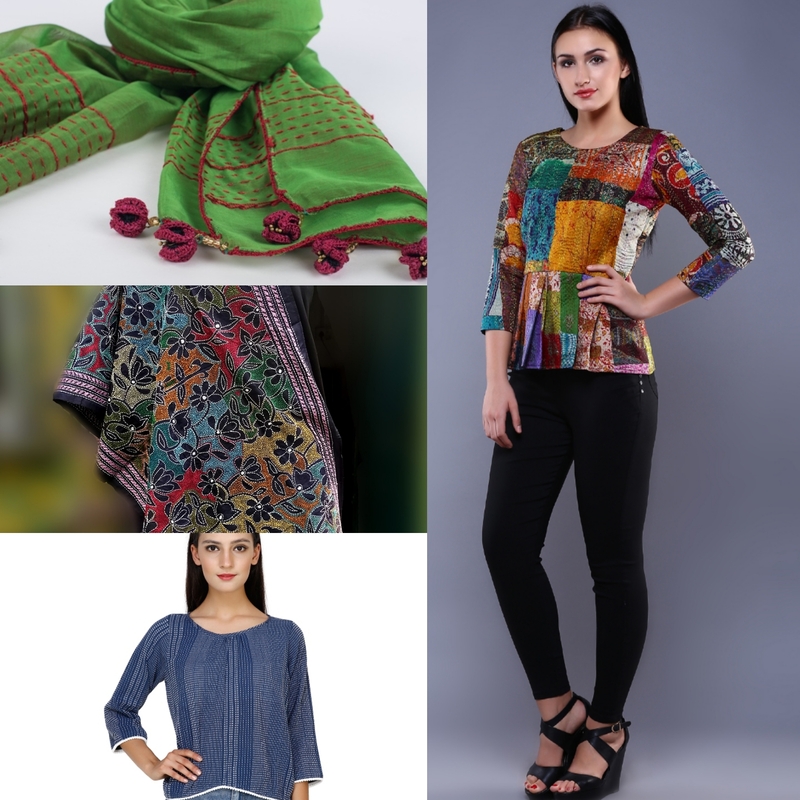 Contemporary forms of Kantha craft find expression in sarees, stoles, apparel, home linen and accessories using cotton and silk. Today, Bolpur near Shantiniketan is the hub for production of Kantha craft products. In Odisha (Orissa), Kantha embroidery can be found alongside the popular applique work of Puri and Pipli. 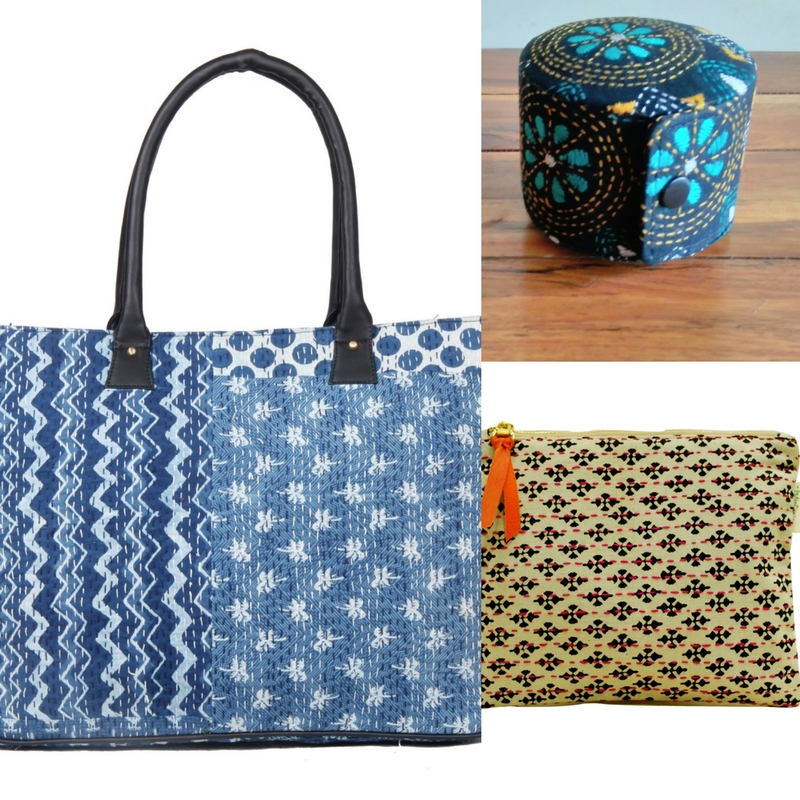 Our artistic partners work with Kantha in unusual ways to create accessories, home accents, apparel and home furnishings. Creating a perfect blend of the traditional and the contemporary. At WorldArtCommunity we are proud to be part of sustaining craft tradition in a contemporary world and lifestyle.